The 1960s was an exciting time in this country. The air was full of different music, increased talk of war, people making a personal statement using their dress and hair. There were discussions about wealth inequity by young students as to whether having all things material would make this new generation as unhappy as they thought their parents to be. This was, indeed, a time of socio-political upheaval. And in the Black community there was the 1954 Supreme Court decision of Brown vs. the Board of Education Topeka which gave Black people a glimmer of hope that equality might be on the way. But five years later there seemed to be little change in segregation laws whether on or off the books. And then there was the grisly, gruesome murder of Emmet Till in Mississippi by two white male racists in 1955. It was into this atmosphere that came four Black male teenagers to North Carolina A&T University. They were Joseph McNeil, Franklin McCain, Ezell Blair, Jr. and David Richmond. They soon became fast friends and would spend many hours discussing segregation and what each thought could be done to change it. What might have been the deciding factor for them to stop talking and start doing something about segregation , may have been an incident involving Joseph McNeil on his way back to school after a holiday break. He was denied service at the Greyhound bus station in Greensboro. The group saw this as the last straw and began plans to take action And plan they did. They had been reading about non-violent protests and sought counsel from a librarian at the college who had been a Freedom Rider and Mrs. Angeline (Bailey) Smith, a former teacher at Dudley High and an activist herself. The group of four befriended a white businessman, philanthropist and social activist in the town who also happened to be a benefactor of the NAACP and the university. This they did because of his connections and his ability to get local news coverage. The execution of the sit-in would have to be flawless and be of a nature to make real change occur. This was not the first sit-in as others had been carried out but with little lasting effect. The plan was a simple one. The group would enter F.W. Woolworths, chosen because of its double standard. In the North, and everywhere else, the lunch counters were integrated but in the South they were still segregated. 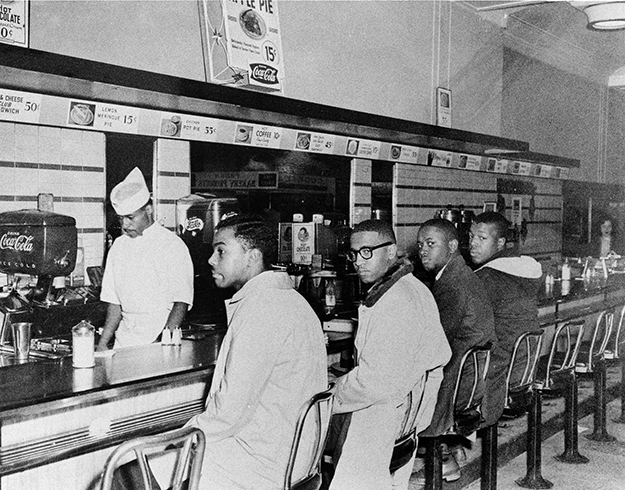 Not only were they segregated at the lunch counter but the kitchen was also segregated. Waitresses were white but those who prepared the food and did clean up were Black. Each of the four would go to a different part of the store and make a small purchase. They would then go to the lunch counter and attempt to place an order. When denied, as they figured they would be, they would ask why they could make a purchase but not be allowed to sit at the counter and be served like everyone else. The plan was then for them to refuse to leave and stay until they were served or worse. They were well aware that they could be sacrificing their lives in this hostile racial climate. 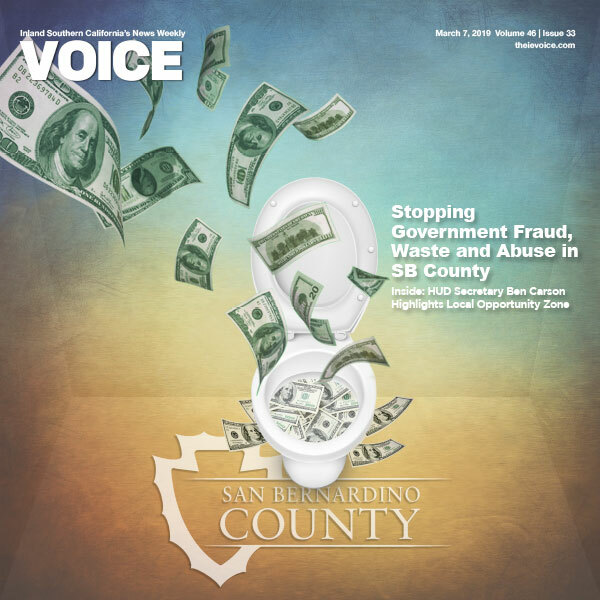 But John McClain said they were tired of being “armchair activists” and felt they needed to challenge the system. On February 1, 1960 the four Black youths carried out their plan. After they made their purchases in Woolworths, they sat down at the lunch counter and attempted to place their orders. A white waitress told them they were not allowed at that counter. One Black female kitchen worker thought they must be from out of town to consider doing such a thing. Another Black kitchen employee gave them a lecture on how to “keep your place”. It was also requested by the store manager that they leave. But the four said they would remain until served. They were virtually ignored and left when the store closed. Upon returning to the campus that night, the four recounted the day’s events and the next day when they resumed the sit-in, there about two dozen students with them. They continued to sit quietly after requesting service and being refused. With the passing of each day, the number of protestors grew until all seats at the counter were taken and protestors stood outside the stores forming picket lines. Yes, it did expand to other stores as crowds of students “sat-in” at other local lunch counters. And as the number of protesters grew so did the crowd in opposition. Incidents grew ugly as the students were spit on, verbally harassed with abusive language and pelted with eggs. One report even said that a student’s coat was set ablaze with the attacker being arrested. A media frenzy began to take shape as the newspapers and T.V. picked up the coverage. The NAACP was involved along with the Ku Klux Klan, university officials and the president of Woolworth’s. Every day the students , in growing numbers, would show up, take a seat or stand outside , sit all day , be refused service and then return home when the store closed. Talks, after hours, took place between students, college administrators, and representatives from Woolworth’s, which yielded nothing for a time. There was even a bomb threat that closed Woolworth’s temporarily. By the end of February, the sit-in movement had caught on in more than thirty cities in eight states. During this period of time, three of the four Greensboro Four were arrested and sent to jail. They were later released without having to pay bail. Daily sit-ins were happening at many stores across the country as the economic boycott continued to cut into profits of store owners. The protesters had found that the way to make an impact on those who fought desegregation was through their pocket books. By July 26th 1960, Woolworth’s was desegregated. There was no immediate and complete desegregation at lunch counters everywhere but the action brought the indignities inflicted upon African Americans to a level of high public awareness. This movement started with just four young, Black men who decided to take action. They did not stop to ask if they had enough money or ask an organization to back them up. They decided that the right to be treated equally was worth risking everything they could give. They had the Courage to stand up and step away from the crowd in order to make a change for themselves and those who would follow in their footsteps.